This i13 TWS is an awesome piece of work coming from China. They’re replicas of the air pods it has even more features than the actual Apple Airpods 2 itself. Well, some claim that the Airpods 2 are just version Airpods 1.5. There is nothing fancy to shout about the upgrades by Apple this round. I would stick to airpods clones instead. 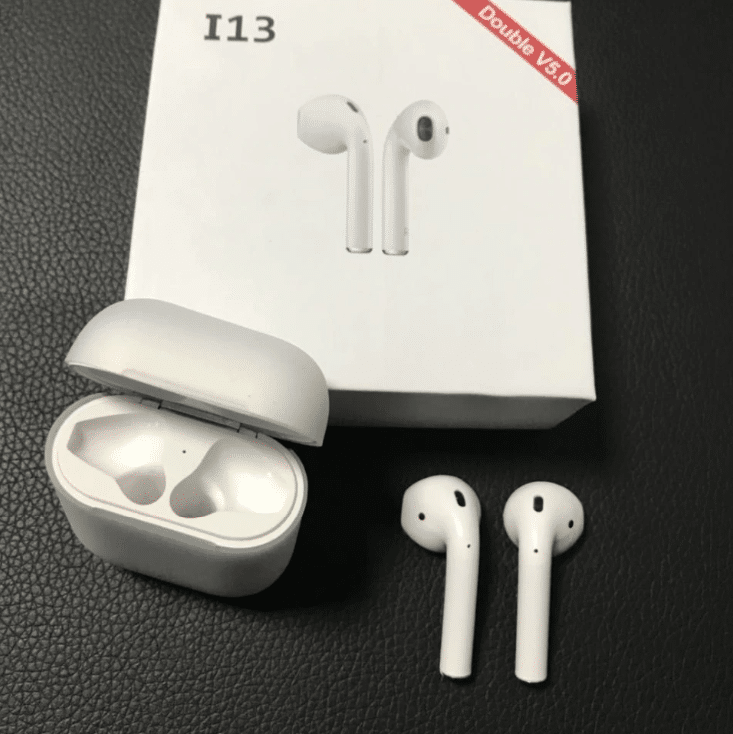 It’s designed size mic and high audio quality are made to challenge the actual Apple earpods and it has combine looks from the previous series of i11 and i12. So these are the i13 series are one of the highlight for this March and April 2019. 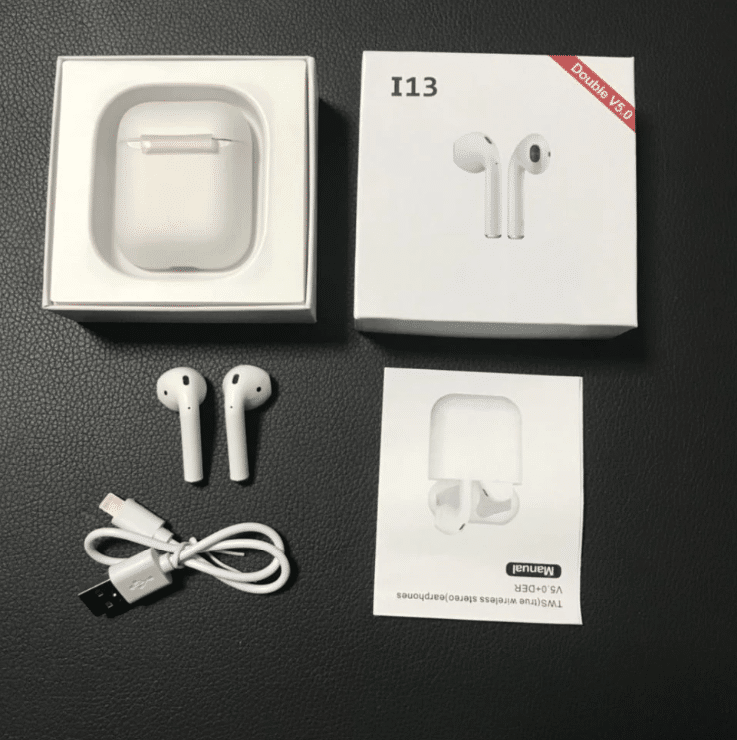 Here’s the box guys it looks just like the Apple airpods except it’s missing a dot there. As for the case, its applies to most box design. 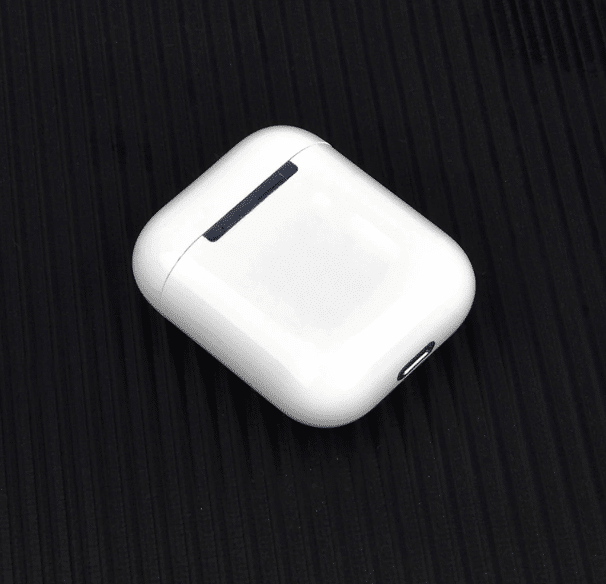 It resembles the actual Airpod box itself. Let’s see what else is in the case these do have wireless charging as you guys can see there which is always a great feature and then it comes with a cord that is micro USB not USB type-c. Previous i12 TWS is the lighting cable charging. It is still good and then you have a user’s manual that have both English and Chinese words. Here is what the case looks like it it looks a little bit more close to the Apple earpods case this is the eye attends by the way the it’s more of an oval instead of a kind of more straight like the Apple earpods are. You have the button on the front of the case right here as you guys could see there um instead of on the back and you also don’t have any writing on the back and no button but it is magnetic has a nice snap there. This magnetic snap is the coolest feature ever! The bottom of the case looks like with that micro USB and then this button all this button does is charge it so as you guys can see once you press that button a nice blue LED turns and then the red LEDs in there but you can also turn that off it has auto power on in an auto power off. When you take it out it will power on and then right when you put it back it will power off that’s what the inside of the case looks like. This happens only until you pair to your phone the first time then it will not blink anymore which is obviously good so there will be no blinking lights. You have a nice the two the dot here and then the little piece there but you do not have the sensor there you do have a sensor on this side though so they just didn’t put it there if they put it there I’d love these so much more on the bottom there you have your charging and then you also have your L right there and then our on the other one so it is just 1 dot away from looking exactly like the Apple earpods size that everything is the same they feel like really good quality. Obviously you have that magnet which is beautiful so they have auto power on auto power off so right when you take them out they’ll turn on and right when you put them in they’ll turn off auto pairing so they will pair to your phone right away right when you take them out they have touch controls. Let’s see headset key functions you can call Siri power on power off which obvious and then you have volume up volume down so volume up is two taps on the right volume downs two on the left long press is to call Siri or whatever your person is on your phone it works for both Samsung and iPhone and then previous is just a click click three times for your preview song which is on the right and click three times on the left and that will get you to the next song so a little reverse . There’s just a bunch more stuff so it does have touch controls if you guys want you can use one ear piece at a time so if you only want to hear on the right you just take it out and then it will pair and you can only use that or you can just take out the left in either one but another great thing about the I 13s it has AI px6 waterproof rating so there’s no need to worry about the you know sweat getting in and ruining it so it’s kind of like the i-10 where it was water-resistant. The Bluetooth distance I got around just under 33 feet away from my phone indoors and then the playtime’s about 2 to 3 hours per just taking it out but you can charge it back in the case up to four different times your charging time takes about one hour and they do give you the case it uses bluetooth and like I said both earpieces can use both at once or just individually. 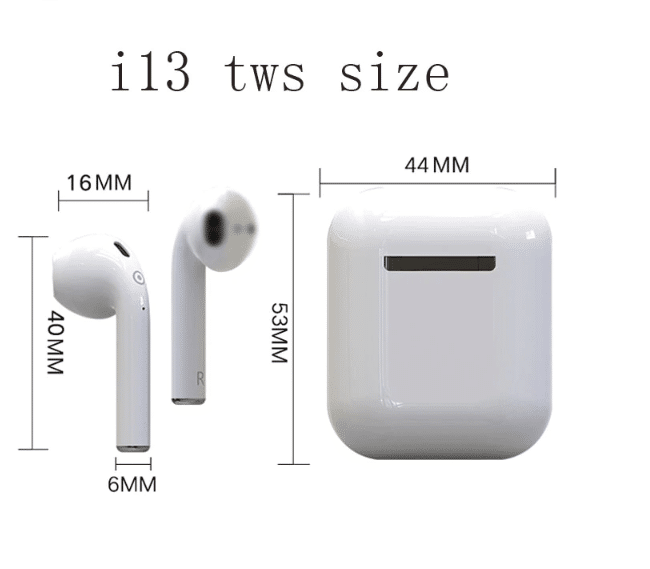 Buying i13 TWS or wait for i14 TWS? 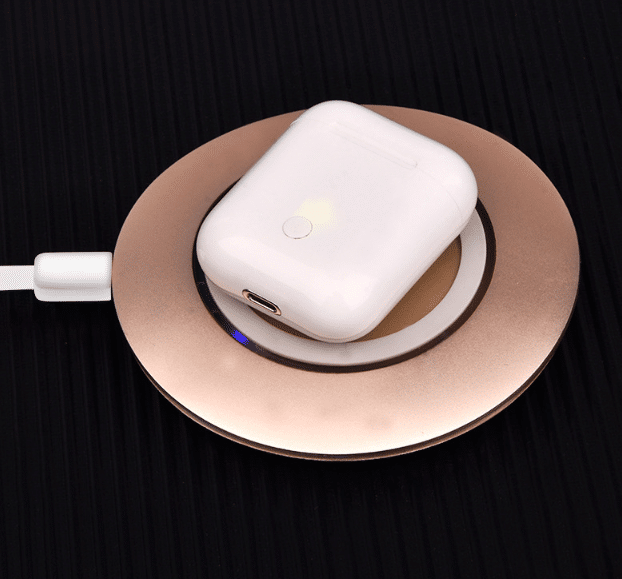 There will be no flashing lights once you pair them so that’s pretty much what’s included you get the beautiful airpod clone. This is one of the best earpod around this March 2019. Even though i14 TWS is out, we are still waiting for our orders to be delivered to do a great review about it. Here is an image. It comes with W1 Chip apparently. 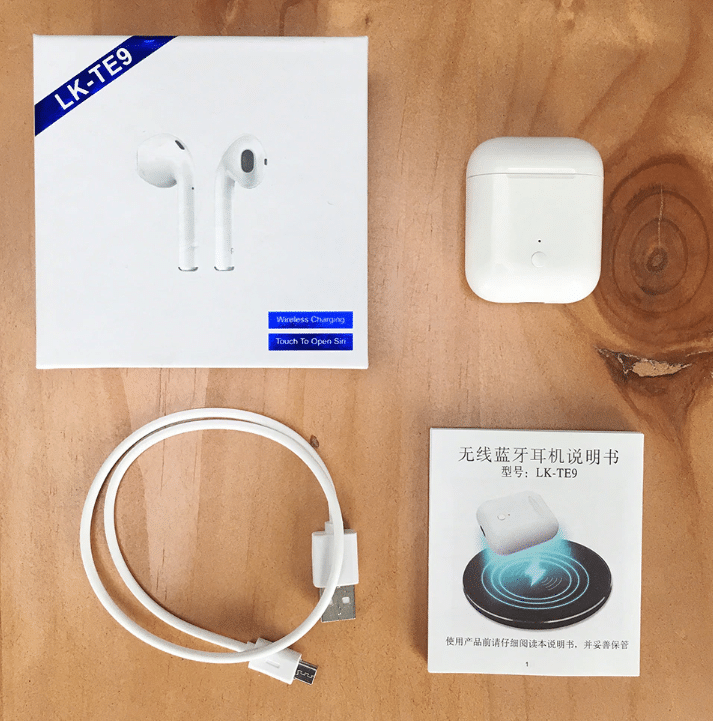 For $20-30, you can land yourself a great airpod with better features than the Aipod 2 (besides the sound quality). Airpod 2 is retailing at $199. 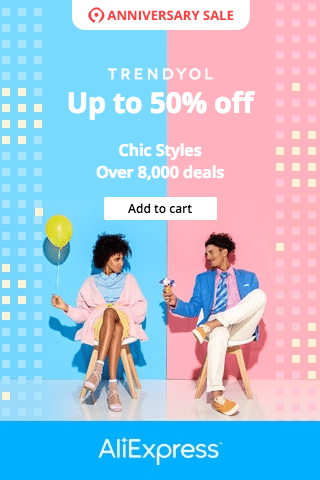 That is only one sixth of the price! What are you waiting for? Oh stocks are limited from the links we put up. So please hurry up. Prices will jack up anytime soon.